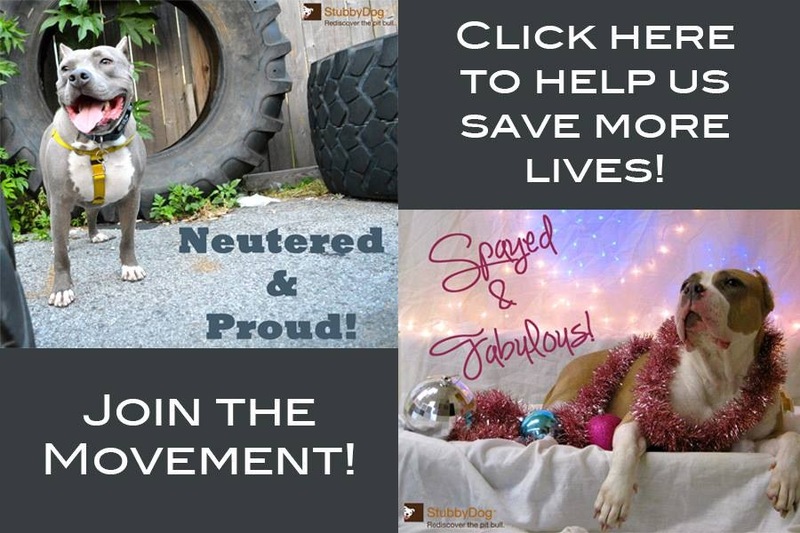 When I first sat down to write this article for StubbyDog, I had the intention of focusing solely on the Salt Lake County Animal Services Pit Crew, a shelter-based adoption program that also provides free and low-cost training, free spay and neuter for the pit bull type dogs, and outreach and education. Much has already been written about this innovative program, based out of the progressive municipal shelter, Salt Lake County Animal Services. 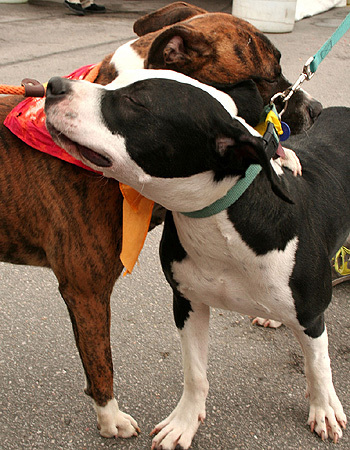 The save rate for pit bulls has gone from 57 percent to 71 percent and counting since 2009. The program concept was simple at its inception: A good dog reflects on a good owner. The program provides resources for the community and adopters to help dogs remain in their homes and reduces intake by providing free spay and neuter, free and low-cost training, and adopts out more dogs that look like pit bulls. Here is what occurred to me as I sat down to collect my thoughts on that program, which I have been involved with almost since its inception in 2009 through my work at Best Friends Animal Society. The SLCo Pit Crew is so much more than a shelter-based program. It’s really turned into a community movement, one that has transcended the shelter walls as well as jurisdictional lines. The Pit Crew has really become an idea that produced a group of caring individuals, foster homes, trainers, volunteers, adopters and even other organizations that collectively have really improved things for the short haired, muscular mutts in Salt Lake City. In 2009, SLCoAS had a vision to see their shelter, the largest municipal shelter in the state, eventually reach a no-kill status. In order to achieve that goal, they realized that there were two populations of animals that were being disproportionately euthanized: community (feral) cats and pit bull type dogs. Shawni Larrabee, the director, decided to develop programming around these two groups of animals in an effort to help save lives. What followed has been a long and successful partnership with Best Friends Animal Society and No More Homeless Pets in Utah, a program of BFAS. Working together and teaming up to provide free and low-cost training, free spay and neuter for our community’s pit bull type dogs, as well as attending outreach adoption and educational events, and teaming up on creative events, promotions and workshops, doubled the adoption numbers for pit bull type dogs. 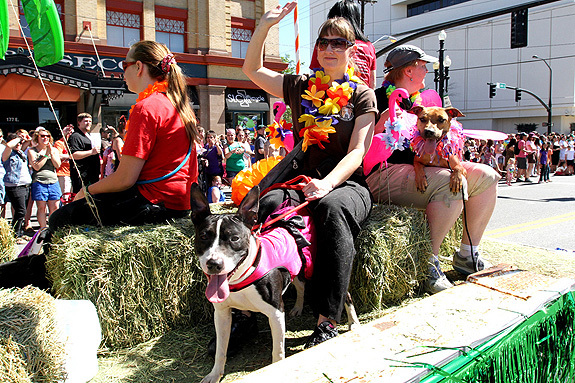 Creative events, such as the Hollywood themed Pawscars, the shelter-based Furry Frenzy adoption events, marching in Pride Parade, Pittie Pride and Neighborhood Pit Bull Days (which brings free vaccines and spay/neuter to at risk communities with high intake numbers for the shelter) have increased visibility for the shelter and its adoptable dogs. This year, the program, teaming up with No More Homeless Pets Utah, hopes to provide 1,000 free spay/neuter surgeries to decrease the shelter’s intake of pit bull type dogs. This vision has also brought the community together. A small but dedicated foster parent network supported by SLCoAS has helped numerous long term, medically fragile dogs or dogs needing some behavioral work by offering them the opportunity to learn and grow in a home environment, increasing their chances for adoption. 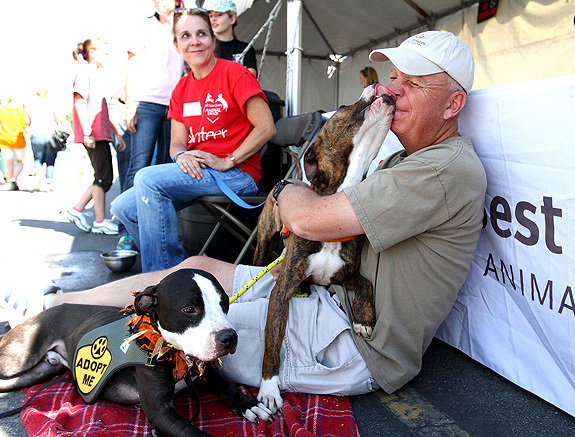 Dedicated volunteers help at all outreach and tabling events, participate in shelter photography and attend specialty workshops of interest to help the shelter’s animals. 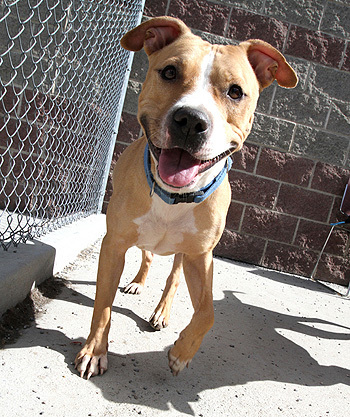 The shelter’s non-profit arm, Utah FACES, has helped fund special projects like the Pittie Pride event, as well as structural improvements to the outdoor play yards, and has helped to administer the shelter’s Injured Animal Fund and other special donations for projects and equipment. But what really stands out, though, are the efforts that go beyond the shelter walls. SLCo has collaborated with Best Friends Animal Society and No More Homeless Pets in Utah in partnership with the Pit Crew effort, as well as Animal Farm Foundation, Longmont Humane Society, Bill Bruce of the Animal and Bylaw Services for the City of Calgary, and has even hosted shelters from around the country at workshops through a grant from PetSmart Charities and their Shelter Partners for Pit Bulls project to learn and share ways to improve the lives of shelter animals and increase adoptions. In an effort to help the dogs’ quality of life while they are in the shelter, the staff implemented daily playgroups in 2010 after visiting Animal Farm Foundation and hosting Aimee Sadler from the Longmont Humane Society. 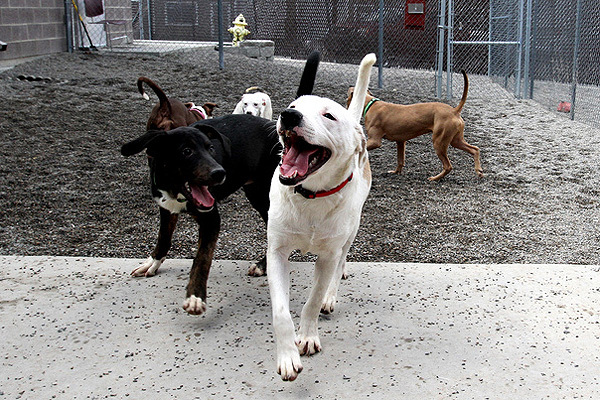 These daily playgroups, coupled with kennel enrichment activities such as stuffed Kong toys, have visibly reduced kennel stress and improved social skills for all of the shelter dogs, reducing the number of dogs that may have been euthanized due to serious kennel stress and deterioration. Recently, SLCoAS, for the first time in their history, was able to hit the no-kill mark for 2011, a tremendous achievement for a large, municipal shelter that intakes 10,000 strays each year. This brings challenges as the number of animals the shelter houses increases, and the challenge becomes balancing the shelter population and the emotional health of the animals that are kenneled there longer term. 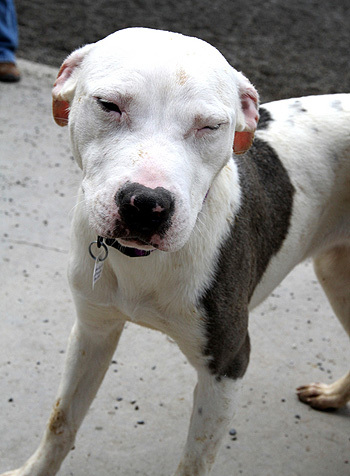 Pit bull type dogs represent 25 percent of the shelter’s intake for dogs, however, they account for up to 50 percent of the dogs on the adoption floor for reasons including longer holding times while waiting for adoption, public perception of dogs that look like pit bulls and, often, the sheer numbers of dogs that look like pit bulls on the shelter floor. Although we, as animal advocates, push the public to view pit bulls like any other dogs, until they are leaving the shelter alive at the same rates as their non pit bull type counterparts, we will still need programs like the Pit Crew to help close the gap said April Harris, acting director. This brings me back to the concept of community and the movement that we have seen come out of this program. Last year, the Pit Crew adopted, rescued and fostered out a total of 245 dogs, with a save rate of about 99 percent for adoptable pit bull type dogs, which was similar to the two years before. Prior to the program, only about half of that number was leaving the shelter. What has been perhaps the most rewarding statistic is the number of foster and adoptive parents who have now adopted and fostered multiple dogs and built ongoing relationships with the shelter and the community. Frequently, former adopters send photos, cards, post on the SLCo Pit Crew Facebook page and volunteer at events. Recently, two Pit Crew alumni dogs and their guardians became registered therapy dogs with the Delta Society’s local affiliate, Therapy Animals of Utah (which, by the way, now boasts eight Pet Partners teams with rescued pit bull terrier type dogs). They often attend community council meetings in neighboring jurisdictions to eloquently speak out against any proposed breed-discriminatory legislation. They are extended family in a sense and continue to express their gratitude to the shelter and the program for offering support, training and interest in their dog’s successes. All of this happens in a large, government-tax-funded shelter, where, only five years ago, things were so very different. In most shelters, dogs like Roma all too often might be the first one to be euthanized, but, as part of the Pit Crew program at SLCo, they are given the opportunity to shine. Kiera is excited for 2012. 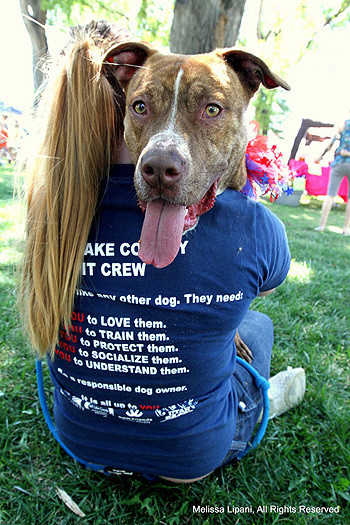 Events like the shelter’s Pittie Pride event, which provides free vaccines and spay/neuter in an at-risk community, marching in the Pride Parade, attendance at several of Best Friends Animal Society’s Super Adoption events, Furry Frenzies and Mini Super Adoption events, as well as continued outreach adoption events and fundraisers are all on the horizon. 2012 is already shaping up to be a great one for the dogs, with big victories against breed discrimination ahead across the country. Here in Salt Lake City, we are excited to be on the brink of taking our whole city to no kill, and we know that with the continued support of the community, in partnership with our area shelters, we will get there. 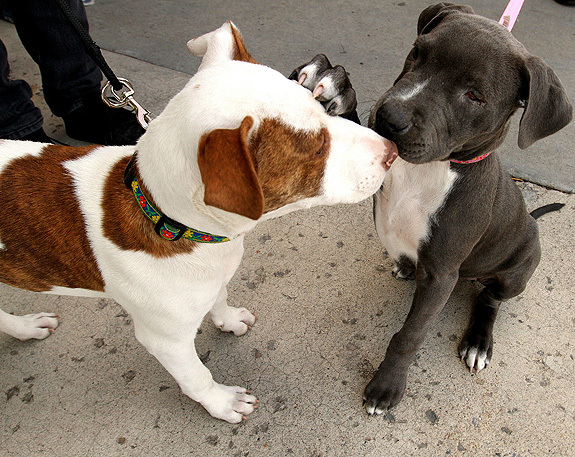 Let’s declare 2012 “The Year of the Pit Bull” and feature them in shelters everywhere! I love this. I’m so happy to see that the hard work the SLCo Pit Crew does is noticed. My life is better every day because of them! @rockandcookies SLCo Pit Crew does such amazing work, it would be impossible to not notice. We are huge fans! Fabulous article Melissa! Thank you for sharing the incredible work and tremendous achievements of the SLCo Pit Crew. You all ROCK! I teared up reading this. I am so moved by how many people are starting to back the pit bull supporters. thank you for writing this and for sharing the word that our pit bulls are our fur babies.